(Nanowerk News) Although rechargeable batteries in smartphones, cars and tablets can be charged again and again, they don’t last forever. Old batteries often wind up in landfills or incinerators, potentially harming the environment. And valuable materials remain locked inside. Now, a team of researchers is turning to naturally occurring fungi to drive an environmentally friendly recycling process to extract cobalt and lithium from tons of waste batteries. The researchers are presenting their work at the 252nd National Meeting & Exposition of the American Chemical Society (ACS). ACS, the world’s largest scientific society, is holding the meeting here through Thursday. It features more than 9,000 presentations on a wide range of science topics. “The idea first came from a student who had experience extracting some metals from waste slag left over from smelting operations,” says Jeffrey A. Cunningham, Ph.D., the project’s team leader. “We were watching the huge growth in smartphones and all the other products with rechargeable batteries, so we shifted our focus. The demand for lithium is rising rapidly, and it is not sustainable to keep mining new lithium resources,” he adds. While other methods exist to separate lithium, cobalt and other metals, they require high temperatures and harsh chemicals. 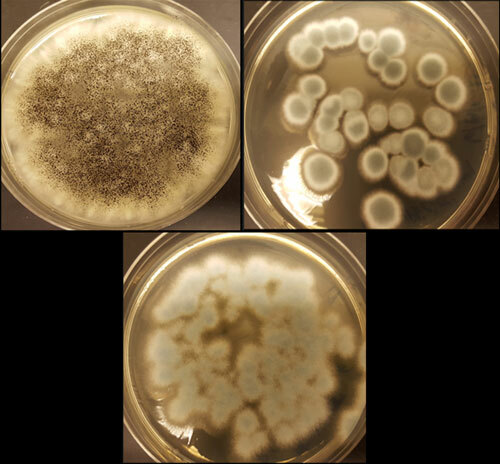 Cunningham’s team is developing an environmentally safe way to do this with organisms found in nature — fungi in this case — and putting them in an environment where they can do their work. “Fungi are a very cheap source of labor,” he points out. To drive the process, Cunningham and Valerie Harwood, Ph.D., both at the University of South Florida, are using three strains of fungi — Aspergillus niger, Penicillium simplicissimum and Penicillium chrysogenum. Results so far show that using oxalic acid and citric acid, two of the organic acids generated by the fungi, up to 85 percent of the lithium and up to 48 percent of the cobalt from the cathodes of spent batteries were extracted. Gluconic acid, however, was not effective for extracting either metal. Cunningham, Harwood and graduate student Aldo Lobos are now exploring different fungal strains, the acids they produce and the acids’ efficiencies at extracting metals in different environments.